I've always loved denim. Denim in the form of jeans, denim in the form of jackets, denim in the form of shorts or denim in the form of skirts. 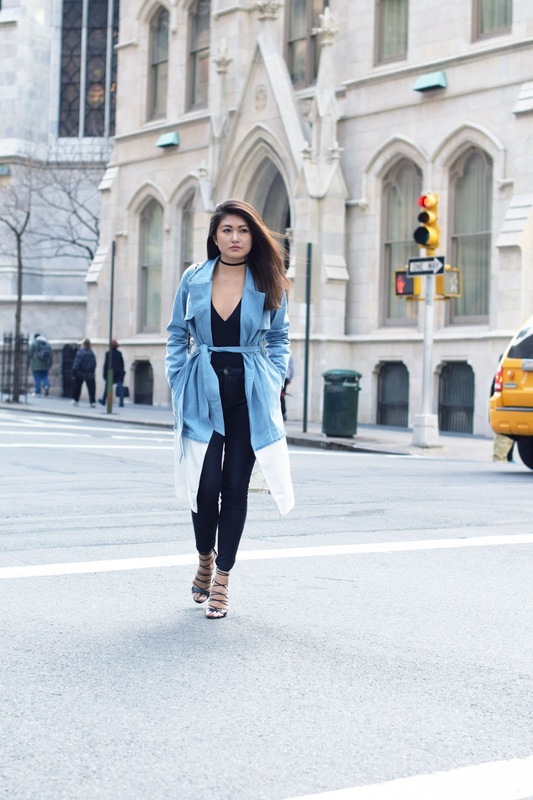 Never have I ever thought I'd be obsessed with denim in the form of a trench....but it's sooooo good. And the white bottom? Genius.